LIGHT4ME BELKA LED PAR ZESTAW OŚWIETLENIOWY – Light4me / It's light 4 You! 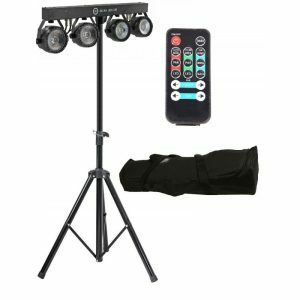 Light4me Belka LED PAR is ultimate solution for all the mobile installations. 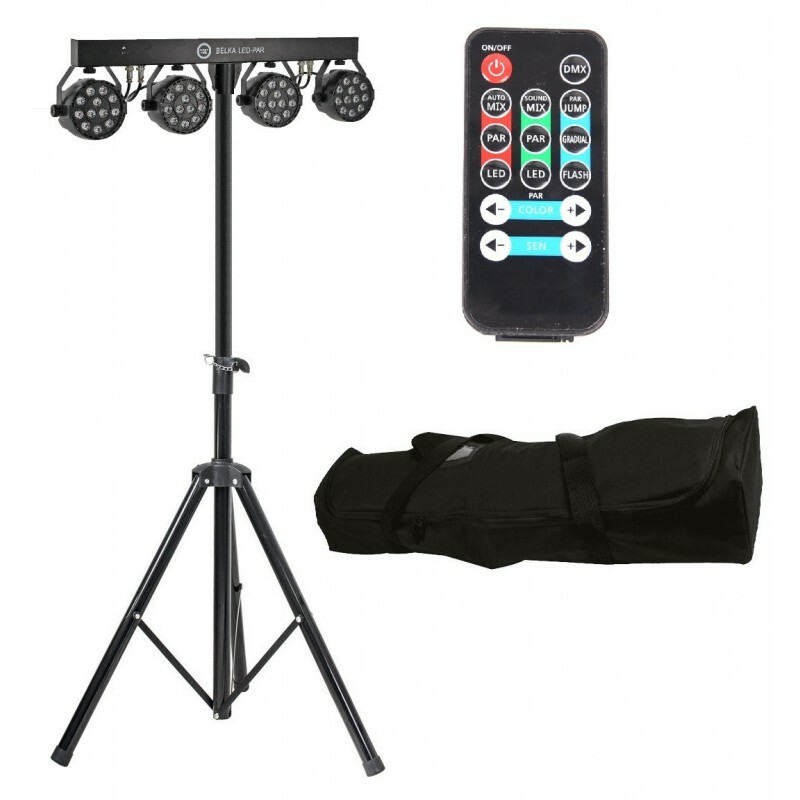 Complete set of T Bar with four LED PARs equipped with 12 LED diodes 1W RGBW, stand with bag, remote controller and soft case in astonishing price! 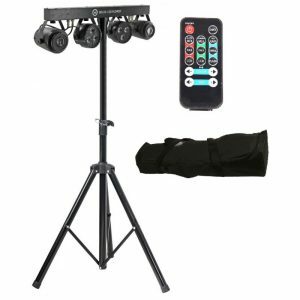 Setup have never been easier, set is ready to work after just few minutes. 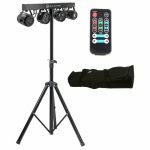 Belka LED PAR can be controlled by included remote control, DMX protocol or in stand alone mode by display set on the back of housing, including auto mode, static colors and sound mode. Set is excellent stage lighting for smaller music bands and clubs, mobile DJ’s. 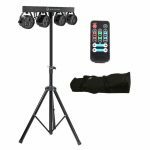 Thanks to its compact dimensions, low weight and convenient accessories it can be easily carried by everyone from place to place.